For more than one copy or to order multiple titles please email your order and we will calculate the postage cost. 50 half-page plates, illustrated biographical commentary. I first saw these printed diagrams and drawings over thirty years ago, and the particular care and certainty they convey has remained with me since. 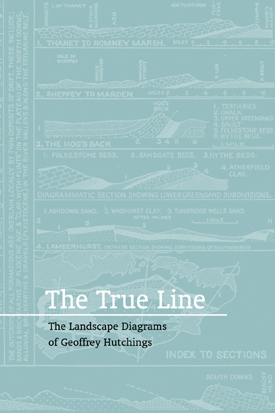 Hutchings published just a handful of books, all addressing the search for geographical and topographical truths, and for the ways of recording and depicting these truths precisely and economically by the handwritten word and line. 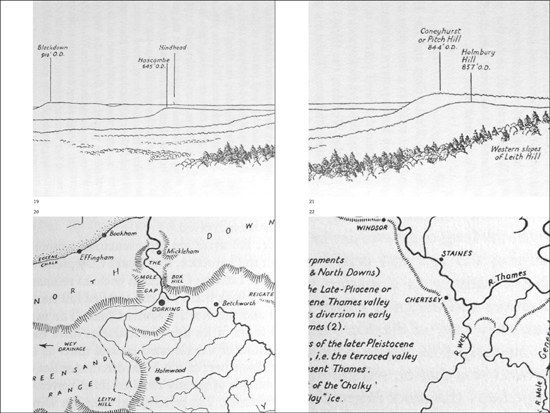 In addition to his contribution to the development of the teaching of field studies in Britain in the late 1940s, with its emphasis on the direct observation and interpretation of landscape, he achieved a masterly ability to ‘read’ and transcribe a place in a graphic composition—be it a sketch- map or a plan, a tabular profile or a section, or an annotated panoramic drawing. In all of these compositions he integrated line and text in a perfect balance of brevity and detail.